Summon and unleash the magnificent creatures and clash in battles like you've never experienced before! Customize your deck strategically and summon key creatures for maximum effect! 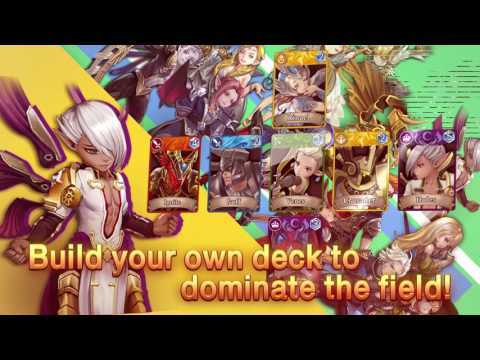 Mix & match unique skills and battle characteristics of each monster to create the perfect deck! Maximize the summoner and monsters’ synergy! Conquest the battlefield by creating the perfect deck! Challenge the Raid and rank among the champions! Conquer the 15 floors of the Tower of Chaos! Claim many great rewards through each challenge! Overcome your enemies and get battle superiority with powerful Guild Buff! Get awesome support for summoners and creatures through Spiritual Magic! Use Spiritual Magic wisely to claim victory in a difficult battle!